Did I Buy a Counterfeit Lamp? How do you tell if this OEM Philips bulb is really an OEM? There is the cost. Was the lamp 50% less than most of the other listings of the same lamp? Let’s use a Hitachi DT01291 replacement lamp. This is used in over two dozen units across four manufactures(Hitachi, Dukane, Christie, and Infocus). The original bulb is a Philips UHP 330W. This is a higher wattage bulb and not an easy one to substitute. I purchased one of these half priced lamps myself to see how they could sell it so cheap (well under the cost of the real bulb itself!). After having to wait 2 weeks for the 2-day air shipment I paid for, the lamp arrived. It was stuffed into a USPS box with some paper as padding. Fortunately the lamp was also inside a box with some foam or it would have been damaged. First thing I noticed was the housing. The plastic was cheap looking. There were fingerprints on the lens (big no no) and there was a paper warranty sticker on the seam of the housing. The edges of the housing were sloppy. The mold used was obviously well worn. It was probably from an original lamp and had been discarded and then re-used by the housing company who made this particular housing. I may be wrong but in seeing where they blanked out the OEM name on the side, I suspect I am not. While not terrible or dangerous, having a substandard housing can cause cooling problems and alignment problems with the projector. Next thing I looked at was the bulb itself. Philips has a very specific set of part numbers/codes used to track their bulbs. Each bulb can be traced back to where it was made and when and even who it was sold to. This is a real looking ceramic label, not enough to indicate if it is counterfeit or not. The next and most definite place to look is at the arc tube/burner (referred to as burner from here on). The burner is the glass tube that actually makes the light. This is the part that unscrupulous companies put into used bulbs by clearing out the old burner and cementing in a new burner. They then pass them off as new OEM bulbs. The OEM burner should have another serial number actually molded into the end of the burner near the tip. You should be able to read it or at least see that its there. If there is no serial number and the bulb is supposed to be an OEM, you can safely believe it to be counterfeit. No Serial number was etched/molded into the burner. All OEM Philips Bulbs have a serial number on the end. I even went as far as to contact Philips directly and they were able to confirm my findings. The bulb here was sold originally to a real company and was then likely sent back as a recycle bulb. Normally the bulbs are crushed and used to make new glass(it’s good quality glass). In this case the bulb had the old burner removed and new, non-oem burner cemented it. This is how the company was able to sell what they called an OEM bulb inside for more than half the cost of everyone else. Being that I can’t confirm they are doing it on purpose, I will not be disclosing their name. It really doesn’t matter as there are many companies doing this. This company just happened to be the one I bought from. It is up to you as a consumer to make an informed choice. The too-good-to-be-true holds fast here. If you aren’t sure if the deal you are seeing is worth it, I would recommend calling around. Call us of course (1-800-664-6671) as we can guarantee our lamps are properly made without replaced burners or counterfeit bulbs. The pricing should be within $20-30 or so no matter who you call. If the price is $100 less with one company, you can figure they have a counterfeit lamp and play it safe buying it elsewhere. Posted on March 1, 2019 February 13, 2019 Categories Advice, Christie, Dukane, Hitachi, InfocusLeave a comment on Did I Buy a Counterfeit Lamp? Counterfeit lamps are a problem for everyone. From the companies who sell them (either willingly or through ignorance) to the end users who end up with damaged or non-functional equipment because of it. How can you protect your wallet and your projector from counterfeit lamps? This applies to most things in life. “IF IT SEEMS TOO GOOD TO BE TRUE, IT PROBABLY IS” I cannot re-iterate this enough. If you read an advert for a lamp that uses an “OEM Philips UHP Bulb” and the price is significantly less than a comparable listing, then you are probably buying a counterfeit bulb. Look at the companies reviews with a grain of salt. I notice that some of the more ‘questionable companies’ tend to have five-star glowing reviews all in groups and they all tend to be within a day or 2 of each other. That is followed by no reviews for a week or so and then usually a reasonable amount of negative reviews. Those tend to be people who were duped by the ‘stuffed reviews’ that convinced them to buy the lamp they thought was a good deal. Many of those less than honest companies do this every few months. Sometimes they even change their name and start the dance all over again. Check the online forums.Make sure they require a confirmed order and that they check the reviews to make sure they legitimate end users. There are other sites like r/hometheater and AVSforum but they should be taken with a grain or five of salt. It’s possible for fake or erroneous reviews to be posted there. Always trust your gut. Look at the warranty. The longer the warranty, the better most of the time. That said, the long warranty can be a gamble by the company to make it look like they stand behind a great product when in reality they are banking on the chance that if the lamp fails you will forget its under warranty and not exercise your rights. I am slightly biased as our warranty is 6 months but I think that is a reasonable length. If you lamp lasts at least 6 months, the chances of it lasting the rest of it’s rated life-span are very reasonable. It is the “One year” warranties that concern me. If you need to cover your lamp that long, then why? Is it that unstable of a manufacturer that it might fail from a build error in 9 months? These are questions to ask yourself. How are the listings worded? Do you see “OEM Equivalent” or “Made from OEM parts”? OEM means Original Equipment Manufacturer. OEM Equivalent means its not an Original, but equal to it. That is a curious way to say “compatible”… Listen to that little voice that tells you it doesn’t sound right. Add up the red flags. Way too low of a cost, Way too long of a warranty and tricky wording on their listing. All of this means you would be better off looking elsewhere. Look no further than our main page. We list over 12,000 items with inventory and each lamps specs clearly listed for your own knowledge. Check us out here. Purelandsupply.com or call us directly at 1-800-664-6671 where you can speak to a representative who can help you get a real lamp, real fast. We want to take a moment to wish everyone a Happy and Prosperous Holiday for 2018. This is a great time to remind you to give your projector some much deserved attention with a good cleaning. Get ready for 2019 with a projector that is ready to perform as you need it to: Quietly, brightly and without issues. Here are a few tips for some holiday maintenance. Clean the outside with a damp cloth. If your projector is ceiling mounted, there will be dust build-up on top. That dust can get sucked in and build up in the fans/ducts. Unplug the power, remove the lamp and put your wand attachment on a vacuum. Give the lamp a gentle pass with the wand to pull off any surface dust. Then put the wand up inside the lamp well and pull out any dust building up on the surfaces or near the vents inside the lamp well area. The goal here is to draw out any dust build up in the lamp fans. You will not likely see those since they send to be inside the projector rather than exposed. Run that vacuum with a brushed attachment across all of the vents on the outside of the projector. That will help remove any build up that is going to be pulled inside. Any dust you remove is possibly another hour of lamp life that wasn’t there before. It can add up. Re-install the lamp but leave the power unplugged for the last part. Clean the front of the projector lens with a clean dry cloth or microfiber ideally. Stay away from solvents or soap cleaners. They can and will damage your lens if used incorrectly. Use the clean dry cloth in a circular motion to wipe the lens from the center out. picture a spiral pattern moving outward. That will prevent smudges and give you the very clean lens. To everyone and your family, please have a safe and happy holiday season and we hope 2019 is even better! Can I Buy a Brighter Lamp for My TV or Projector? One question we get fairly often is, “Can I buy a brighter lamp for my projector?” or, “My TV says it’s a 150 watt bulb. Can I buy a 200 watt bulb?”. The answer is No. Thanks for reading! I take that back. Technically yes, you can buy a 200 watt bulb for your TV but it will definitely not be brighter. Front Projector and Rear Projection TV lamps are not the same kind of technology as an Incandescent lamp. When you put a new bulb in your desk lamp and want it brighter you would look for something with higher wattage and you would get brighter light. If the old bulb was a 75 watt and you screw in a 100 watt you definitely had more light so why not the same thing on a projector lamp? 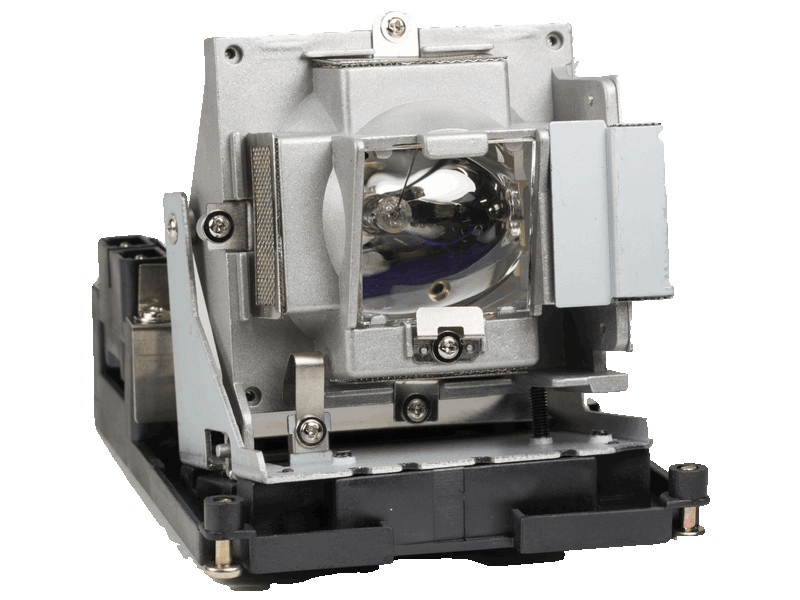 Projector lamps rely on a dedicated power supply whose only job is to make sure the lamp installed runs at the proper power rating it is designed for. The projector lamp ‘takes’ power from the power supply. Where as an incandescent lamp ‘takes’ power from the wall socket. The projector lamps power supply is designed to run and supply the wattage the lamp is designed for. It is similar to stereo speakers. If your stereo has 100 watts per channel and you hook up 200 watt speakers, your stereo is not going to be any louder. You would need a stereo that put out 200 watt per channel to get more volume(not really that much more but this is about projector lamps so I won’t get into logarithmic increases). This is why you cannot merely purchase a brighter lamp. Projectors are designed to run with the wattage lamp for all sorts of reasons. Mostly cost related but also image quality related. I have seen people who have installed higher output power supplies into projectors to get more brightness and the image looked washed out. The contrast suffered because the projector was designed for a certain amount of light to be pushed through and exceeding that caused the image to look poor. Your best bet for having the brightest picture possible is to minimize light pollution in your “theater” room. Blackout curtains, putting black tape over the myriad of things with indicator LEDs. The most important things are to make sure your projector is clean and your lamp is new. That will get you the brightest image every time. Check out Pureland Supply’s whole series of Epson Lamps here! Posted on December 1, 2018 November 28, 2018 Categories Epson, Hitachi, Home TheaterLeave a comment on Can I Buy a Brighter Lamp for My TV or Projector? Owning a projector also means you will inevitably have to replace the lamp. Many times the lamp will fail in spectacular fashion and leave no question that you need to replace it. There are plenty of other times that you may need to replace the lamp even though it still seems to work. You have a picture. That means the lamp is fine, right? The real answer is a loud maybe. There are plenty of instances where buying a new lamp before the old one explodes is the prudent (and less expensive ) option. A projector lamp has a finite lifespan. They are built with components that consume themselves as the lamp runs. Once those components are fully consumed the lamp will not light and may even burst. The best time to replace the lamp is before that happens. Almost every single projector has an expected lamp life that is designed into the unit by the manufacturer. The skeptic in me immediately figures the manufacturer does that on purpose to “make you buy a lamp”. They even build in reminder messages on the screen “REPLACE LAMP” or have the Lamp LED on the projector start blinking after a certain amount of hours have passed. However, the skeptic in me also decided to see what the lamps look like when they reach that point. My findings humbled me to a degree. When the manufacturer says the lamp life is 2000 hours in standard mode(we’ll discuss eco mode), it means that the lamp will have consumed most of its materials under normal conditions. They actually want you to replace the lamp before it fully fails. They found (and I confirmed myself) that when their lamp is used to the 2000 hour mark, the arc-point electrodes have degraded to the point to where the arc is no longer uniform or reliable. That means your image is as dim as it’s going to be and probably has some flicker to it. It also means that the arc tube may overheat and burst from the projector trying to ignite a lamp that has reached the end of its useful life. If the lamp is run past the useful life you are putting your projector at risk for some serious damage. I personally have seen $30,000 Runco projectors damaged incredibly bad because they ran their $330 lamp an extra 200 hours. The lamp burst, it sent molten quartz glass into the color wheel and mirrors. This caused an additional $1000 in repair. But hey it got them another 200 hours… Had they listened to the manual and replaced the lamp at the warnings appearance, they would have only been out $400 instead of $1400(plus shipping a 80 pound projector). As skeptical as I am, the evidence shows that while it does seem like a printer ink sort of situation it truly is not. The lamp timers and lamp replacement indicators really do have a valid reason for warning you to replace the lamp. When you see the message or you see a flashing light that refers to the lamp life expiring, take this advice and buy a new lamp. If your old lamp is still working, you can put it away as an emergency spare. Do not run any lamp until it bursts or I may see your projector and use it as an example in another blog post. The third instance where your lamp needs replacement is if you have a built in lamp hour counter module. Many higher end projectors use a small circuit board on the lamp housing that controls the lamp hours being recorded. Once that circuit is run to the top hour limit, it may shut the projector down. They will almost always(I want to say always but I can’t be 100% on that) give you a few hundred hours warning before putting the projector into ‘safety mode’ and not allowing the lamp to run until replaced. The lamps we sell that use those modules are all tested and verified so that when you install the lamp, your projector will resume proper function for another 1000-3000 hours depending on the model. Some versions have an Eco mode. This eco mode will allow you to run past the standard hour count as the lamp is run in a lower power mode. It will not be as bright but it will run longer. At that point it is a trade off in brightness for lamp life, but depending on your needs, this may be perfectly fine. You may even want to replace it now if you have a big event coming up and the existing lamp is getting long in the tooth(or short in the arc electrodes). As I mentioned above, you can put that existing lamp in the closet as a spare and you will be amazed at how much brighter a new lamp is. The moral of all of this is do not wait to replace your lamp until it fails if you can help it. A good replacement lamp from PurelandSupply is now the best value in many years. You can buy a lamp with the same parts as the OEM so that you can expect the same amount of performance. Lumens or Lux? Watts or Whats? How Bright Can My Lamp Shine? A few months ago, I was watching a program on my Optoma HD800 and I noticed that the usually darkly lit show was more darkly lit than normal. After the show I decided my lamp was too dim. Being that I have connections in the ‘biz’, I was able to get a new lamp pretty easily a few days later. When I went to put it in, my wife casually asked,” Could you get a brighter lamp instead of that one?”. I told her the short answer which is ,”No, the brightness is set by the factory” and went on my way. Her question was reasonable and it stuck with me. I happened to mention it to one of our Customer Service reps who told me, “I hear that a lot.” – “Customers ask if they can get a brighter lamp with higher watts or more lumens”. I can’t say I was surprised to hear it. We learned back when Incandescent bulbs were the norm , that we could buy a 100Watt bulb instead of a 60Watt bulb if we wanted our kitchen brighter. As long as the socket didnt melt, you could really cram anything that would light into the lamp and get a lot of light. Then with projectors you hear that the lamp needs to be changed and the same logic makes sense. If the bulb for my HD800 says its a 300Watt, then why can’t I buy another that is 400W and get a brighter picture? Simple answer is that you can’t. Those who have read this blog in the past knows that I don’t stop here with a simple answer. Anyone who says you can use a higher wattage bulb for a brighter image isn’t giving you the proper information and could lead to a damaged TV or Projector. Lets dive into how brightness is rated in lamps, ALL lamps. Old bulbs used to list their wattage. At the time, it was our only reference. Wattage is not a rating of brightness, it is a rating of power required to run the bulb. To get extra technical, wattage is a result of Current multiplied by Voltage or P=IV. The average US house has a voltage of 110 volts(anywhere from 105-125v). That means the old 100Watt incandescent bulb used 110volts to heat up its filament and create light. That gives us two of the numbers. 100(watts)=I(amps) x 110(volts). With that simple math we now know the power needed but none of that gives us a quantifiable brightness amount. We essentially ‘knew’ that a 100W bulb was brighter than a 60W. This is where Lux and Lumens come into play. Lux is a true measure of light. One lux is the equivalent of 1 lit candle or 1 candle power. I prefer Lux myself as its an actual unit of light. Lumens is an average of Lux. Lumen is also known as luminous flux. I know that makes very little sense. If you want to read up on the specifics of Lumens such as how they are calculated via Steradians, there is a nice article in Wikipedia. For our explanation I am going to simplify it by saying Lumens are essentially a measurement of perceived brightness at your eyes. Where as Lux is a measurement of the light as it is emitted directly from the bulb, Lumens ignore the light components that are not seen, such as Infrared and Ultraviolet light. The light emitted from the bulb has many more optical components than the light that is reflected off the screen, but when you are watching a movie, that is all that matters. One lumen would be the average measurement of 1 lux over a one square meter white surface that is projected from one meter away. The actual lux over that square meter will vary from less than one Lux to over one Lux. Once its averaged, the final number can be interpreted as One Lumen. That is the light output that your eyes see. In my opinion that is the most important part. If the specs say the projector is 10,000 Lumen and it looks dim in comparison to a 5,000 lumen, the the specs mean nothing. Lumens are partially dictated by the optics inside the projector. The more color filtering and lenses you have inside, the more the amount of Lumens are affected. This is why many projectors who use the same bulb have varying Lumen ratings. It also starts to explain why there isn’t a brighter lamp you can purchase to make your Projector or Rear Projection TV brighter. Your TV or Projector lamp is not an incandescent bulb. It is an Arc-Lamp. That means there is no ‘filament’ in the classic sense. There are 2 electrical contacts inside the glass globe that sustain a spark, or ‘Arc’ that excite the gas mix inside to emit the photons that make the light. To make and sustain that arc properly, the device uses a separate power supply called a ballast to drive that lamp. The ballast has a set power output that is only going to run at the designed level. Putting a larger wattage arc lamp in, will only run at the ballasts output and no higher. Some models use the same lamp but have a different ballast rating that will only drive the lamp so much. For instance, if I installed a 350W bulb in place of my 300W bulb my picture would only be as bright as the 300W bulb. That is because the ballast inside that runs the lamp, is designed for that particular projector. When the manufacturer designs the projector, they have to decide on the balance between Lumens and Picture quality. The brighter the image, the lower the possible contrast ratio. They tend to find a very reasonable balance between the two. When the lamp is shining its light in your TV or Projector, the light is passing through numerous light filters, lenses and mirrors. These also affect the Lumen output. Lumens are a convenient way to compare how well a projector will work in your viewing area or against other projectors. If you are using a basement as a home theater, the Lumen output is not as important as it would be in a family room with windows. 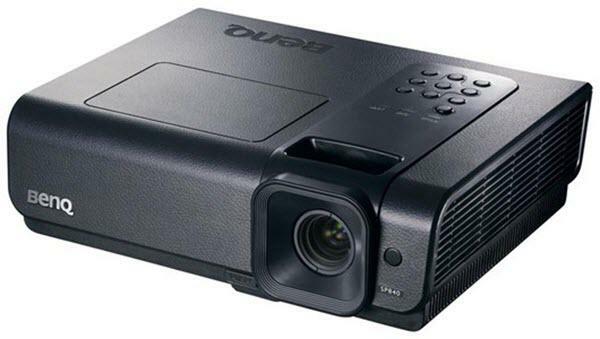 Projecting an image long distances(an auditorium) requires high Lumens. The moisture and suspended dust particles in the air can block a significant amount of light. Next time you are in the movie theater, look at the dust floating in the light beam outside the projection booth. Every fleck of dust is preventing a tiny bit of light from reaching the screen to reflect into your eyes. All projectors and rear projection TV’s(regardless of the display technology) are designed with a particular type of bulb and housing in mind. The manufacturers determine the best balance between image quality and brightness for the price point. When purchasing a new lamp for your existing Projector or TV, know that Pureland Supply uses Original Brand Bulbs in our housings to give you the same brightness and image quality that the manufacturer intended. Posted on May 9, 2018 Categories Maintenance, OptomaTags Lumen, Lux, Optoma, Projector lamps, PurelandSupply.comLeave a comment on Lumens or Lux? Watts or Whats? How Bright Can My Lamp Shine? Buying a new lamp can be confusing when you have to wade through the marketing campaigns and creative wording. These are all terms used to describe the type of bulb used in the lamp for your projectors. This wording could lead you believe these are the same as the manufacturers and in some cases they are. In other cases they are not. My goal by the end of this post is to help you understand what you are buying and to make sure you get the best value for your money. Lets take a step back and look at the beginning of the 5J.J2N05.001 lamp to fully understand the situation. Most manufactures do not make their own Lamp housings. They contract to another company who has the factory and molding equipment. That factory may make lamps for multiple companies. In this case the lamp is molded by an Original Equipment Manufacturer (OEM) and then labeled as a BenQ part. When the company is designing the lamp with BenQ, they decide on a bulb manufacturer that fits the parameters of the performance they want to get out of the new lamp and projector. In this case the bulb manufacturer used was Philips. Philips was the first manufacturer to patent Short Arc Mercury Vapor lamps back in the late 70s. The original use was for Printer Circuit board manufacturing. Since the market for PCBs is much smaller than projectors, they found the technology was better suited than the original bulbs which used metal halide technology. Once BenQ and their OEM decided on the Philips UHP bulb, they then design the housing to properly support and align the bulb. Upon completion of the design the OEM manufacturers all the new lamps that BenQ then ships in their SP840. The OEM also makes quite a few extra and has them boxed in BenQ boxes with the BenQ label. That way , when a lamp fails under warranty, BenQ replaces it with a BenQ OEM Lamp. That is what you should get if you see a listing for OEM lamps. It should be in the manufacturers box with the manufacturers label. These same companies make a lot of the aftermarket versions of the same lamps. This brings us to the aftermarket lamps. Some vendors list OEM Bulb or 100% Original Bulb when that is not necessarily the case. Some companies will substitute a bulb that is made by one of the main 6 companies in the aftermarket and while its still technically an Original bulb, its not a suitable replacement for any number of reasons. If your BenQ SP840 needs a new lamp and you look around you will see people selling them with Osram bulbs inside. It is true that Osram makes a bulb of similar specs and the same size but it is not the same. The focal point of the arc tube is in a different place. While the bulb will light, and display an image the image may not be as bright as the Philips version. It also may cause stray light leakage. This isn’t Osram’s fault. They designed the bulb to run properly in another lamp where the Philips may have a focal point miss-match. The simple reason for this is cost. It makes it look like you are getting the same-as-the-original when in reality you are not. The BenQ scenario I explained above is far from exclusive to BenQ. In fact every manufacturer except Panasonic have their lamps made that way. They all use multiple bulb brands (never in the same model). Next Ill explain what I mean about Panasonic. Panasonic is the only company who makes their own bulbs and lamps. They are owned by Matsushita Heavy Industries. They are a huge Japanese company who have the capabilities to make their own bulbs and lamps. Panasonic is the one company you cannot buy aftermarket with their own bulbs inside(unless it ‘fell off the truck’). Even Epson uses an OEM company called Iwasaki-eye and Philips to make their bulbs. Panasonic recently bought Sanyo and brought them in under the Matsushita umbrella. I fully expect to see Matsushita bulbs in new Sanyo projectors now. Up until recently(past 5 years or so) that leaves the consumers only able to buy OEM replacements or Compatible replacements. Nothing in between. Fortunately a few years ago Ushio and Phoenix decided it was time to make a replacement that was custom designed to work in place of the Matsushita bulbs. Rather than take an existing bulb and cram it into a reflector, they actually designed the gas mix, the arc tube and refectory to properly recreate the same specs that the Matsushita bulb had. They did it in such a way that did not violate any patents. This gave us a very reasonably priced option for an out-of-warranty projector to use for replacement lamps. While this was successful, sometimes the vendors who sell these take advantage of the situation and will try and cram a Phoenix into an Epson lamp because the Phoenix bulb is $20 less than the Osram that would work better. They take the stance that, “it fits so it ships” when in reality, that is doing us a huge disservice. There are many other aspects to substituting a lamp. When Ushio made their Matsushita replacement, they made sure the heat generated would be dealt with the same as the original. Sellers who do not know what they are doing substitute bulbs they are not checking for things such as cooling or airflow. They don’t check the focal points of the light or the startup voltage required. Sometimes they will even use a 200W bulb in place of a 150W bulb. It’ll light, but it’s going to fail early. Another issue is Counterfeits. I have personally seen counterfeit Ushio bulbs being sold as original by other less than upstanding companies. Fortunately the amount of counterfeits in the USA are quite low and I don’t see a reason to waste your time ranting about the obvious. Pureland Supply only sells Original Bulbs in our lamps. We work very hard at sourcing the lamp with an Original bulb that was used by the OEM company who made that lamp for BenQ(for instance). We don’t stop there though. We will go as far as purchasing a SP840 and running that lamp for 2000 hours and checking the brightness, CRI, and temperature while operating. We will go back to our supplier and have them update designs if they are not up to par. We will even go as far as manufacturing our own parts if it means the lamps will be as close to your original as possible. As an example, we tested 3 different bulbs for the Panasonic ET-LAD60 projector lamp. We tested Ushio, Phoenix and Osram in their housing inside a projector. Total testing took 3 weeks to run all of them. At the end the data showed the Ushio and Phoenix to be as bright(in some cases brighter) than the Matsushita OEM that was used as a control. Average Lumen output was 3500 for the Matsushita, 3700 Lumen for the Ushio and an average of 3550 for the Phoenix. After verifying the timer modules were correctly programmed we were able to sell them with confidence. Where does this leave you the consumer? Hopefully with a little more insight into where your lamps come from and how to know what is what. To help further, here are 5 tips to keep in mind while shopping around for your lamp. Know your bulb type and wattage. Look at the back of your bulb inside the housing. It will list the specs. Refer to our “How to Identify Your Projector Lamp” for specifics. Make sure the company you are shopping with has that bulb listed under the lamp type. They may or may not have the bulb wattage listed. If not, do not hesitate to ask them for that info. Any decent company will share that with you. If they are substituting one original brand for another, be skeptical. Not all substitutes are bad or incorrect mind you, but if you see an Ushio in place of an Osram, I would be very skeptical for the simple reason that Ushio bulbs generally cost more than Osram bulbs. Again, ask them. If you were to ask us, we could tell you why we use what we use and what testing we did to confirm its use. Be wary of any advertisement that uses glowing (no pun intended) for the bulb name. ie. “Platinum or Gold Lamps” If you need to make a fancy names for your lamps, then maybe it’s not that great of a lamp(just my personal opinion). If it’s not one of the 6 names above, that makes the bulb a compatible and those are a waste of your time and money. Warranty Status. Unfortunately in the USA, the warranty on your projector can be violated if you use anything other than an OEM lamp as a replacement. Once your warranty expires you are free to use whatever you want. Until it expires your warranty can be denied if you were to need service and sent in your projector with a non-OEM lamp. Hopefully this enlightened your knowledge on why not all Original inside lamps are the same. I also expect you know how committed Pureland Supply is to carrying a good product. We would much rather sell you a lamp that will perform well for a long time so that you will come back than go for a cheap sale. You do get what you pay for and if the OEM’s trust the bulbs they use, so do we.